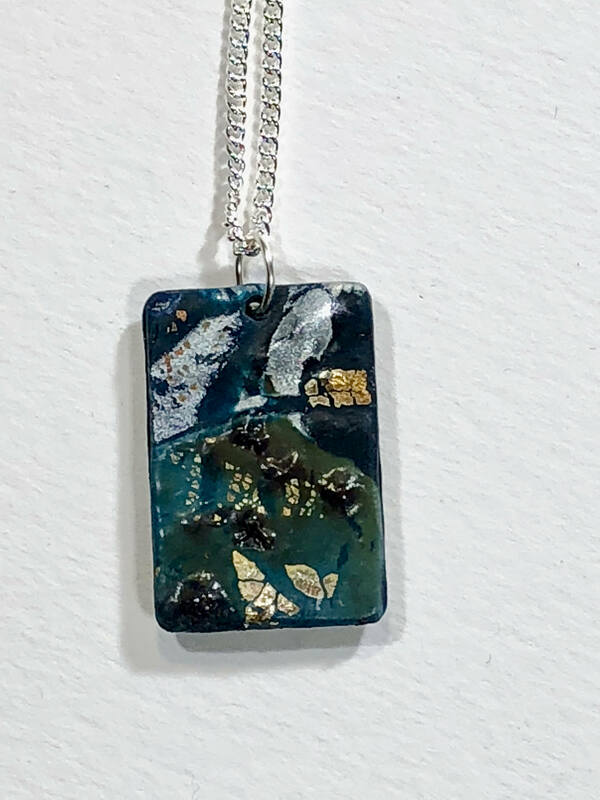 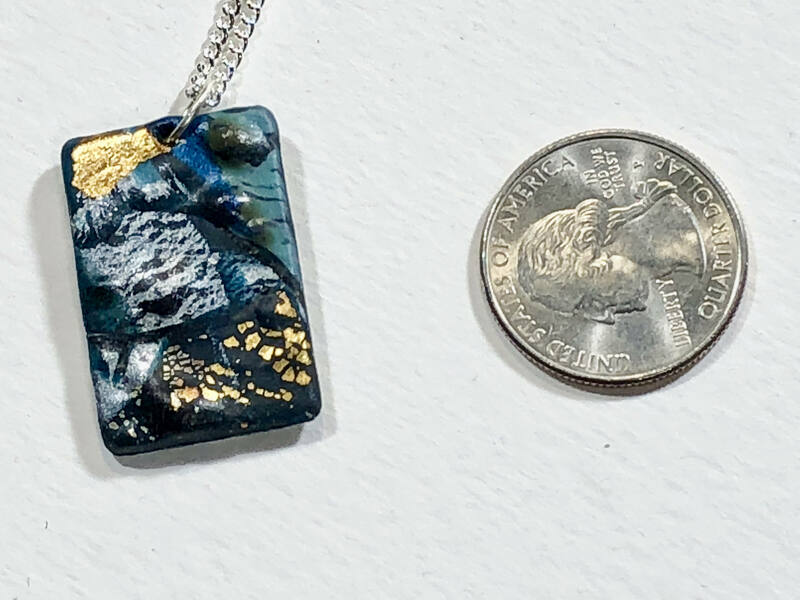 Handmade blue/white/gold/silver/copper polymer clay rectangular reversible pendant necklace with abstract asymmetric design with sterling silver chain and clasp. 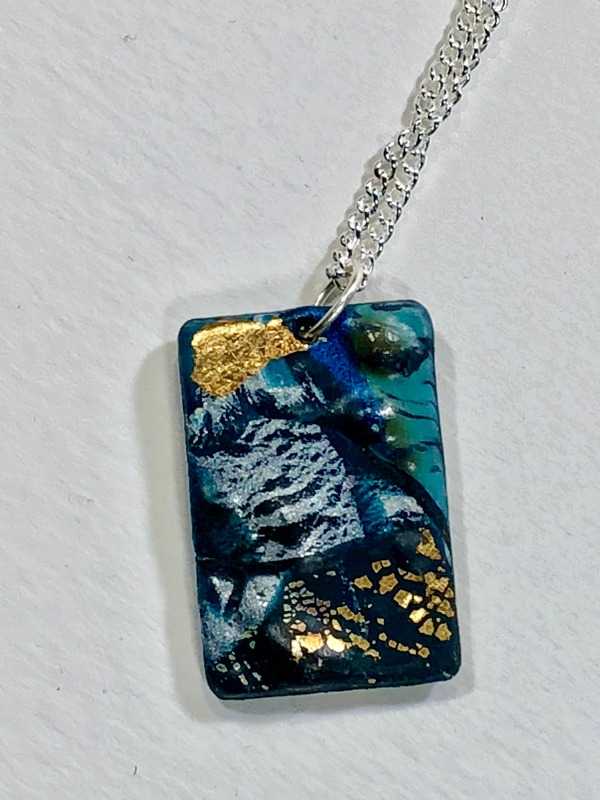 The pendant is reversible and made of polymer clay only. 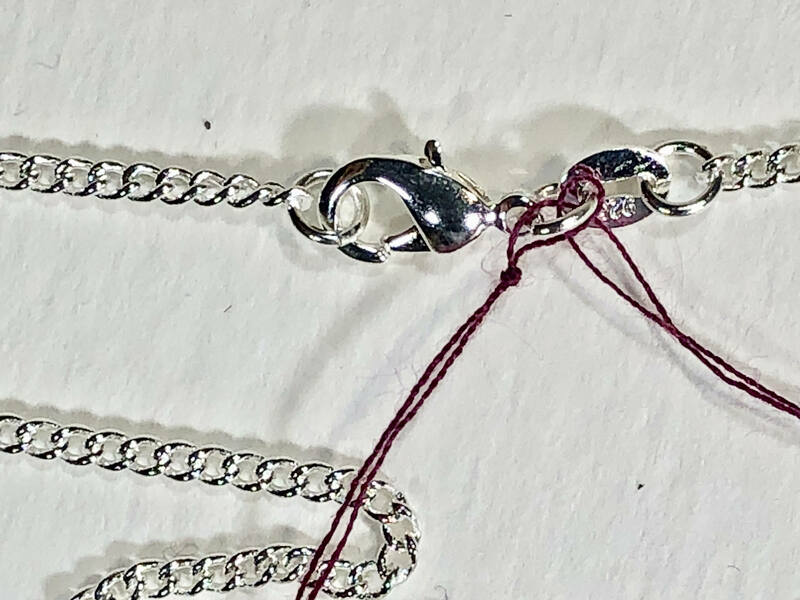 Materials: Polymer clay, sterling silver chain and clasp, silver plated jump rings.